Note: Readers of this blog will have been alerted to the situation below in an earlier posting. 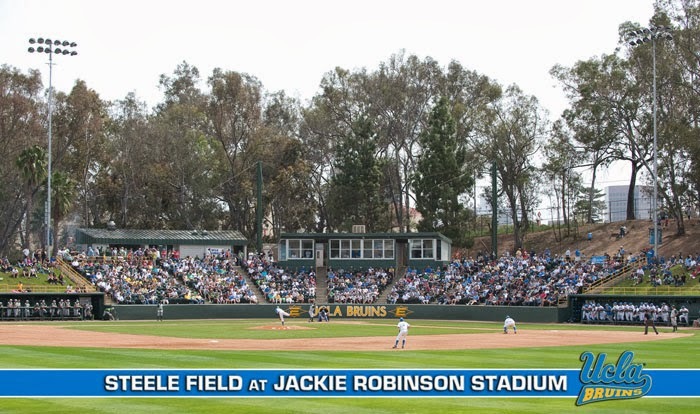 UCLA has gone to court to overturn a decision that could force it to give up its baseball stadium on land leased from the U.S. veterans agency. The university described itself as a “surprising casualty” of an August ruling that the Department of Veterans Affairs violated federal law by leasing part of its sprawling West Los Angeles campus for commercial use. In court papers, UCLA asked to be heard by the court before the order is enforced in February. The motion was joined by the Brentwood School, whose tennis courts, fields, gym and aquatic center occupy 20 acres of the 387-acre property. UCLA also asked permission to appeal the court’s ruling.